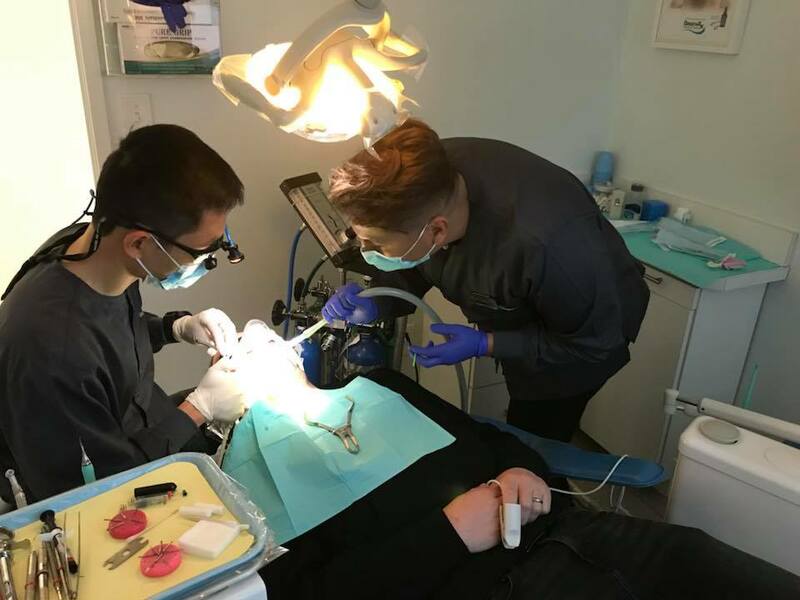 Docdental Smiles provide anxiety-free dentistry optimizing care for high-fear patients through the use of CONSCIOUS SEDATION. • High levels of fear. • Have had traumatic dental experiences. • Limited time to complete their dental care. • Hate needles and shots. • Hate noises, smells and tastes associated with dental care. • Afraid and embarrassed about their teeth. A sedative pill taken by mouth, is safe, convenient and economical. When administered by a qualified dentist such as our dentist, Oral sedation can be more effective and deliver a deeper relaxation state than other forms of sedation. When you come for your free initial consultation, the dentist will review your medical history and will determine if oral sedation is the best sedation option for you. The procedure is simple. When you arrive for your treatment you will be given an oral sedative which will put you into a relaxed and comfortable state. You will be awake but very drowsy. The time you spend in the dentist chair will feel like minutes. Before you know it the procedure is over and you will have little recollection of the entire experience. Nitrous Oxide is one of the safest and the lightest forms of sedation available. It is non-allergenic and non-irritating. The gas also tends to reduce gag reflexes and saliva flow. 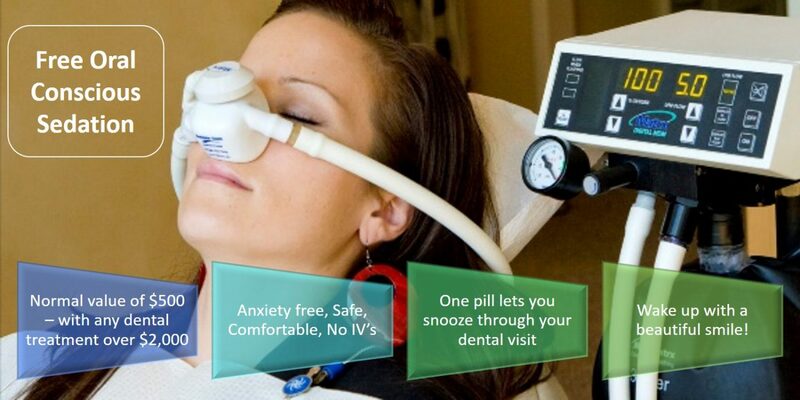 Patients will feel totally relaxed during their treatment when sedated with nitrous oxide. A small mask will be placed over the patient’s nose and adjusted so that the patient is comfortable. The dentist will gradually introduce nitrous oxide. Once the patient feels completely relaxed, the procedure will begin. At the conclusion of the sedation dentistry treatment, the patient will once again receive 100% oxygen (for a minimum of 3 – 5 min). At the end of this time, the person should feel absolutely back to normal. During all sedation appointments, the blood pressure and pulse are continually monitored on our patients. In addition, we monitor the oxygen saturation levels of the blood with a pulse oximeter that gently clips onto the finger.